Check out the rest of the tour stops via Xpresso Book Tours HERE. Favourite line: "I'm perfectly happy with a good book and a bowl of Double Fudge ice cream." Yes, Allison, so am I! Firstly, I have to say that the cover of The Forgotten Ones is pure awesomeness. I love it! So, so pretty. The font, the image, the colours, everything is beautiful. Okay, so I went into this book with a preconceived expectation that was fulfilled, but not in the way I assumed it would be. The cover and title lent towards something magical and mystical, so when I was almost half way and hadn’t encountered anything in the way of magic (as in waving wands and stuff, not romantic magic, although there wasn’t much of that either), I was convinced I was reading a contemporary romance. Then bam! We have magic faeries flitting around causing all sorts of trouble. Cool. I’m going to back-track and start with Allison and Ethan’s relationship. I loved the tension between them, but sometimes I wanted to smack her over the head. Seriously, she’d been in love with this guy for forever, and he was obviously into her, but Allison kept making excuses. Her main reason was because Ethan was a player, but I didn’t really see that. If a girl was hanging off him, he made the effort to untangle himself and run to her. There was never any big event that Allison witnessed Ethan doing to suggest he was with heaps of girls. I wanted Allison and Ethan to get it on more. Now, back to the bam! moment. The first half of this book read like a contemporary romance, then all of a sudden I was thrown into a magical world with conniving faeries, some of them imprisoned, others creepy, and way too many complicated names to make sense of, or try and remember. At one point there were two guys fighting each other and their names both started with A. I got confused and it took me a while to work out if the guy who won was the guy I thought he was. I ended up skimming over the names because I didn’t know how to pronounce them. There was a pronunciation guide at the back of the book, but I didn’t know it was there until I'd finished. I think I wouldn’t have struggled so much if I’d read this first. The reason for all the faerie fighting: Allison’s mum is schizophrenic. Allison has grown up with no father and spends all her time worrying about her mother. She also believes she is the reason for her mum’s illness. Cue creepy faerie man, Liam. He turns up looking for Allison’s mum, and is actually Allison’s long lost dad, and everything goes to hell. She disappears, Ethan disappears, and Allison goes to faerie land to save them. Despite the things I didn’t like, I did enjoy The Forgotten Ones. It was a fast and easy read, but not one that grabbed my complete attention. There were too many characters for me to get invested in anyone in particular, and Allison was a little boring really. My favourite moment by far was the one kiss Allison and Ethan shared, but it was over so quickly. I really like Ethan, and I wish Allison had given him more of a chance. The ending: We’re left with a cliff-hanger, but I didn’t feel as if there was a huge lead up to it. The story just sort of stopped. I love a good cliff-hanger, but I’m not a fan of this sudden-stop type of ending, and for me there was no satisfactory resolution. I know it’s part of a trilogy, but the second book isn’t out yet! This is the kind of book where you need the next one to keep going with the story, and I do want to find out what happens. Overall I liked The Forgotten Ones, but I didn’t love it. That’s okay though, because there are plenty of people that will love it, and I encourage you to give it a go for yourself. You never know, it may be your favourite read of 2013. Lol. Yes, I loved that line! Thanks - that ice cream line was one of my faves too haha!! Thank you K. A. Last for introducing me to a new author. You're welcome, Theresa. 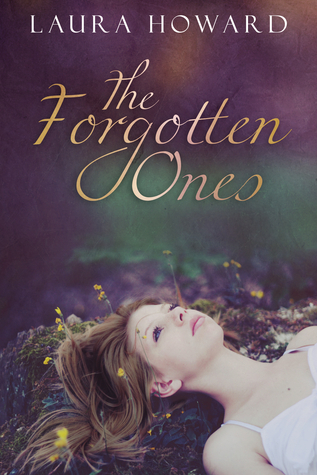 I hope you enjoy The Forgotten Ones when you get around to reading it. Really looking forward to reading this book! Thanks for the giveaway! I hope you enjoy it, Sharon. And good luck in the giveaway! Dropped by Today .Happy Reading !